Judge not entitled to dismiss father’s contact application - The recent case DP v PC. 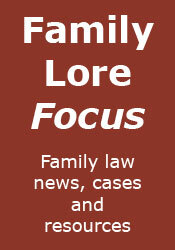 The costs of unreasonable conduct in children cases - The case E-R (Child Arrangements Order No.2 : Costs). Father wins appeal against ‘perverse’ costs order - The 2014 case K (A child - Appeal against a costs order within private law proceedings).